Okay, detective friends! 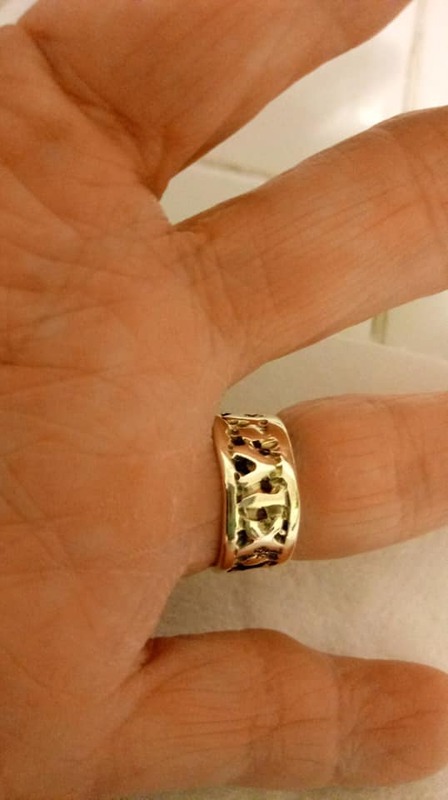 A very nice man has lost his wedding ring – and needs our help. Mynde Cannamela posted about the loss on Facebook. 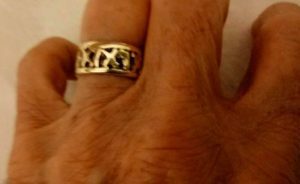 My parents are celebrating their 50th anniversary in June and my dad lost his wedding ring last week. He was at dinner at LaSalle Yacht Club and noticed it was missing. He’s not sure if it fell off at dinner or earlier in the day when he was at the KenTon Aquatic Center. These are pictures of my mom’s ring. Dad’s looks just like it. It’s gold and has Roman numerals (their wedding date) around it. I know it’s a long shot but if anyone finds this, please contact me or my parents. Feel free to share these pictures. 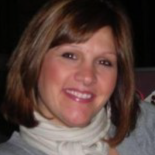 If you have any information – you can contact Mynde on FB.